Just finished transferring Windows to a Solid State Drive (SSD) using a disk image instead of re-installing everything, I thought others might find useful some information on that, and avoid mistakes that I made. Let me just say how great this change was, programs run so much faster now on the SSD, even InDesign, that fat cow, now opens fast and everything is so smooth! I consider the SSD installation as one of the most impressive and cost effective upgrades. The 120 GB of my Kingston drive (111 really active) is more than enough right now, leaving 47 GB free! However, after a few years perhaps an upgrade will be necessary. Especially if you prefer to use the native Windows imaging abilities, instead of let’s say, Macrium Reflect Free, you need to make your system drive smaller than the SSD. However, I insist that you use both Windows Recovery and a freeware cloner for safety reasons. If you prefer to choose just one safety layer, forget about Windows and use Macrium. Note also that you should not change the letter (usually C) of your current Windows drive in order to give this letter to the SSD — Windows takes care of that automatically. You also don’t have to worry about disk alignments, if you use Windows Recovery, all of these details will be adjusted automatically. Here is in 6 simple steps how you can safely, easily and as quickly as possible migrate Windows to an SSD drive. 1) Check if the used space of your current system drive is larger than the SSD. If it is, you have to remove irrelevant data, such as your photos, videos, etc, or even uninstall some programs or games, until the used space becomes smaller than the capacity of the SSD. Then have a program like the free EaseUs Partition Master to restrict the used space of your current system to a partition as large as the SSD. Leave the rest of the disk’s space “unallocated”, and defragment your current system partition. 2) Go to the Windows Control Panel > Windows File Recovery and create a System Image on any internal or external drive except for the one of the OS; at the same section of the Control Panel create also a Windows Repair Disk, and burn it. Create also a system image and a rescue disk with Macrium Reflect. 3) Shutdown your PC and connect the SSD drive. Disconnect your previous System drive. If you want to keep using this drive for your personal files, backup, etc, don’t remove it from the case, don’t even disconnect it from the Power unit, just disconnect it from the motherboard. PCIE m.2 NVMe vs SATA SSD drives, are there real differences? 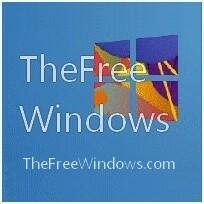 Freeware you don’t want to miss!